Obituary for Willie B Oliver | Robinson & Son Mortuary, Inc.
Willie B. Oliver, 65, of 1208 Island Ford Road, husband of Connie Walker Oliver, died on Tuesday, August 28, 2018 at Self Regional Medical Center. Born in Greenwood, he was the son of the late Lawyer Oliver and the late Willie Dale Oliver. 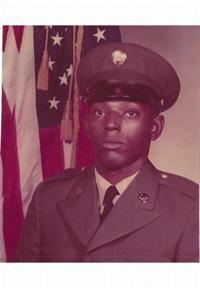 He served in the US Army, retired from McCormick Corrections as a Shift Lieutenant and was a member of Mt. Carmel United Methodist Church. He was preceded in death by one son, Tracey Oliver, two brothers, Lewis Oliver and Tommie Dale and two sisters, Sue Pearl Foster and Sherlene Hawkins. He leaves to cherish his memories, his wife of Ninety-Six; one son, Stacey L. Oliver of Ninety-Six; one daughter, Felicia (Dan) Oliver Rhodes of Charlotte, NC; two brothers, Lawyer D. Oliver of Ninety-Six and Larry Backcus of Charleston, SC; two grandchildren; one great-grandchild and a host of other relatives and friends to mourn his passing. Funeral services are 1:00 pm on Tuesday, September 4, 2018 at Mays United Methodist Church, conducted by Pastor Thessa G. Smith. The body will be placed in the church at 12 Noon. Burial will follow in Mt. Carmel United Methodist Church Cemetery. The family is at 19 Bolt Circle, Ninety Six.